The nonprofit D.C. Vote is organizing the protests on Wednesday. Among the senators the group plans to visit are Republicans Ted Cruz of Texas and Marco Rubio of Florida (pictured). Activists seeking greater autonomy for the District of Columbia are planning to drop in on members of Congress they accuse of improper meddling in local affairs. The nonprofit D.C. Vote is organizing the protests on Wednesday. Among the senators the group plans to visit are Republicans Ted Cruz of Texas and Marco Rubio of Florida. 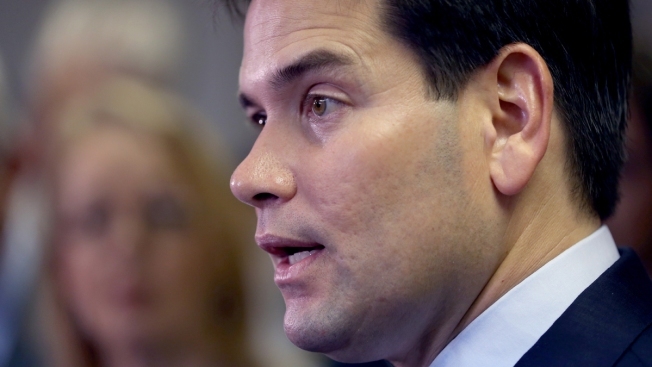 Cruz is running for president, and Rubio is considered a likely candidate. Last week, Rubio co-introduced a bill that would invalidate the city's gun-control laws and ban local officials from enacting new ones. Cruz has introduced resolutions disapproving of two District laws that would bar private groups from discriminating for religious reasons. The activists also plan to stop by the offices of Republican Sen. James Lankford of Oklahoma and GOP Rep. Jim Jordan of Ohio.